Home The Frisco - A Look Back at the Saint Louis-San Francisco Railway Night scene showing Union Station in Kansas City, Missouri with trains lined up. Night scene showing Union Station in Kansas City, Missouri with trains lined up. 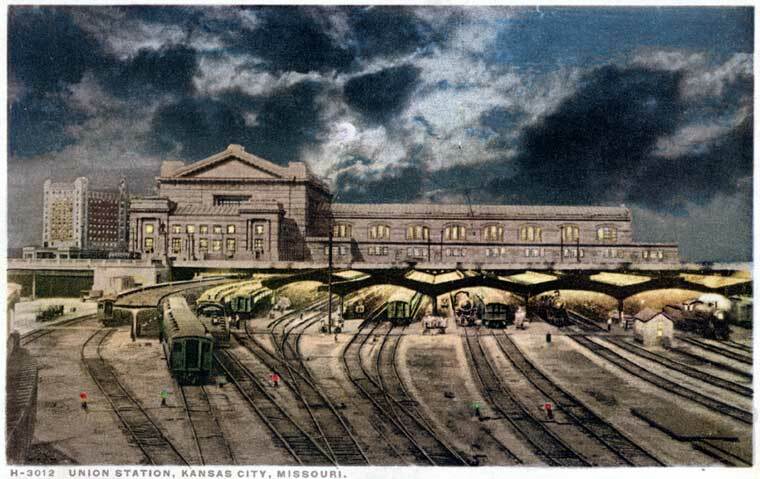 Title Night scene showing Union Station in Kansas City, Missouri with trains lined up. Title.Alternative H-3012 Union Station, Kansas City, Missouri. Creator Fred Harvey Phostint. Made by Detroit Publishing Co.